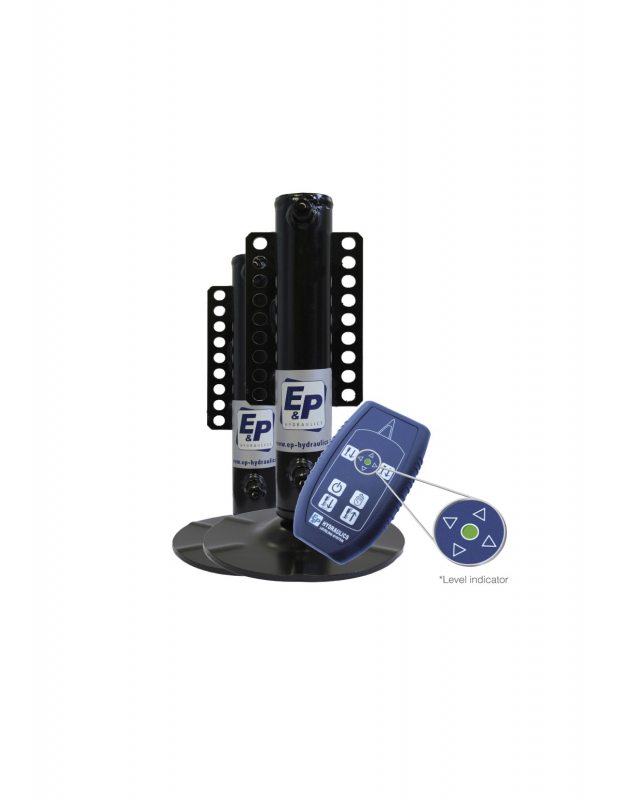 The E&P HYDRAULIC Levelsystem keeps you mobile and flexible, yet safe and secure. Forget messing around with caravan jacks, drills or wedges, this is the automatic caravan leveller of the future. 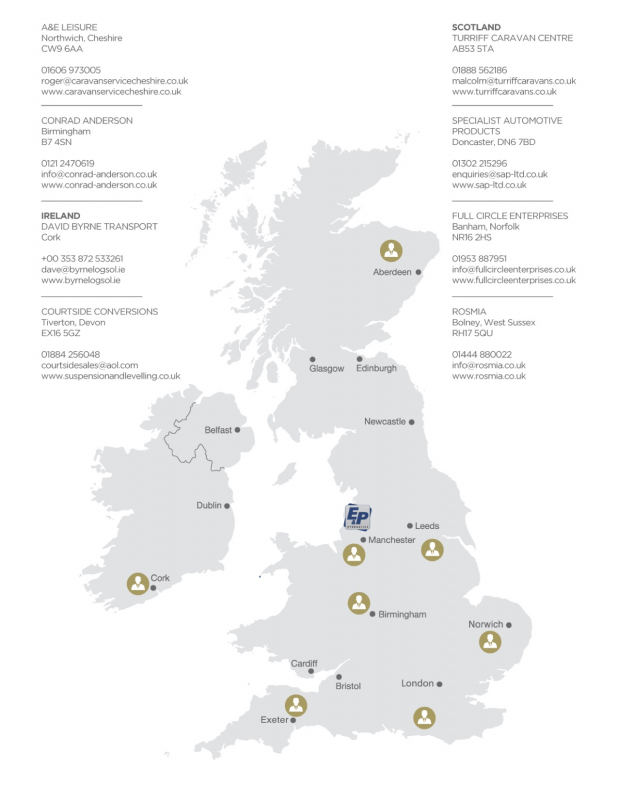 The E&P Hydraulics caravan levelling system – a pioneering, effective and simple-to-use hydraulic levelling and stabilising system, worth it’s weight in gold for caravan owners. 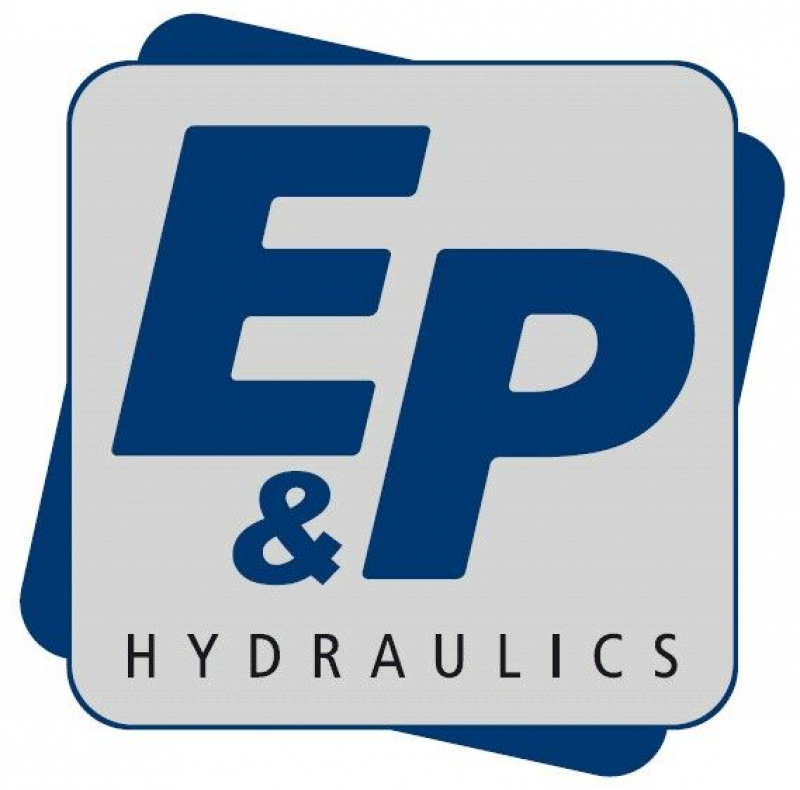 With the E&P Hydraulics Complete Levelsystem, 2 hydraulic caravan jacks are mounted to the axle of the caravan so it can be raised and levelled side to side. 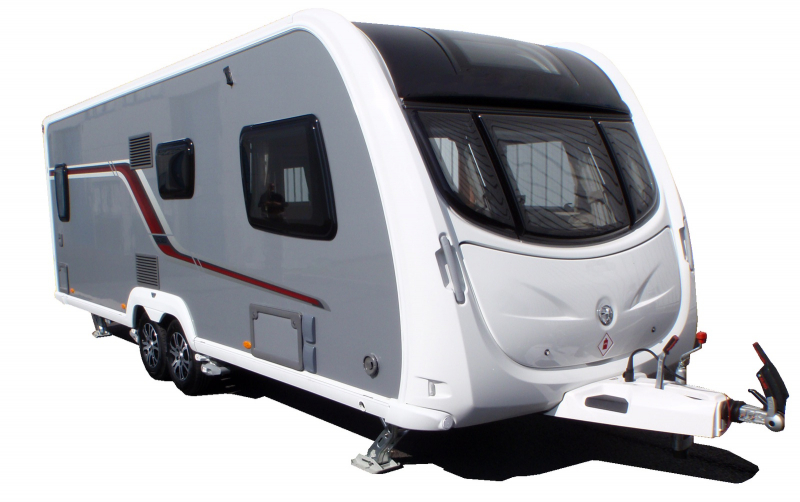 These hydraulic legs take the weight of the caravan and also stabilise it. 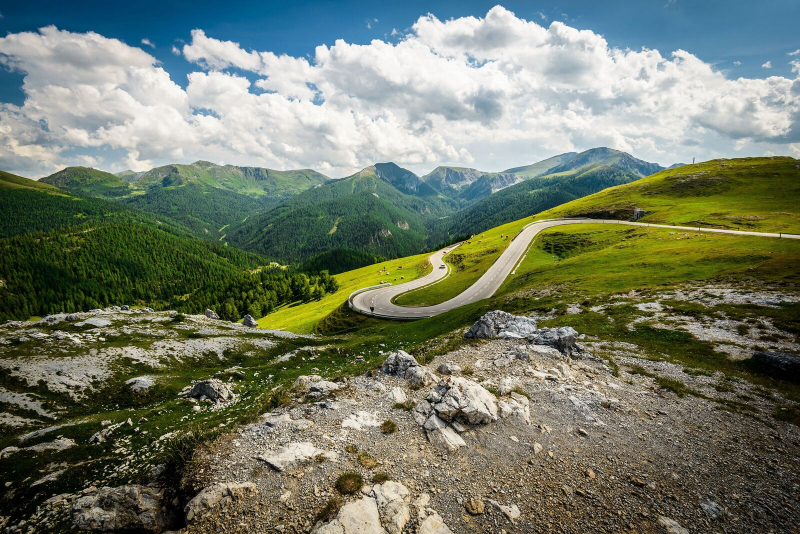 The standard corner legs are replaced with 4 hydraulically operated AL-KO “ Big Foot” corner steadies, which help with front to back levelling, giving 6 supports in total. 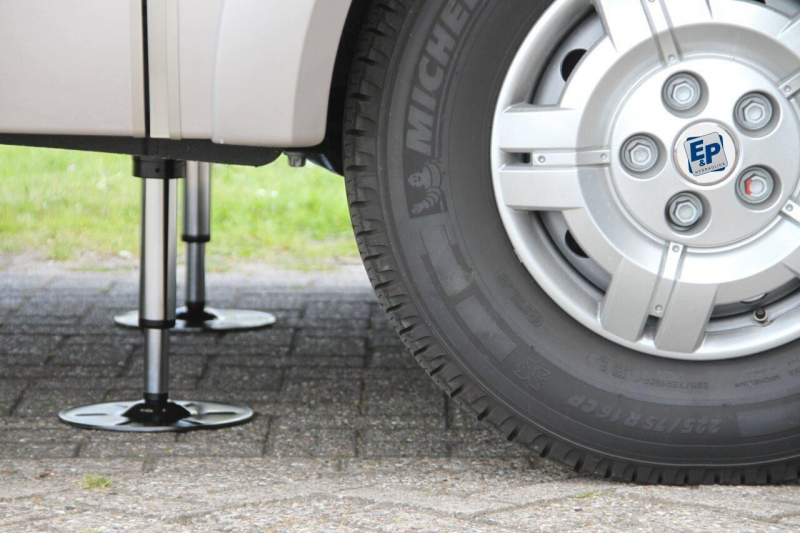 This method of caravan levelling reduces the force being transferred through the caravan floor during normal setup. 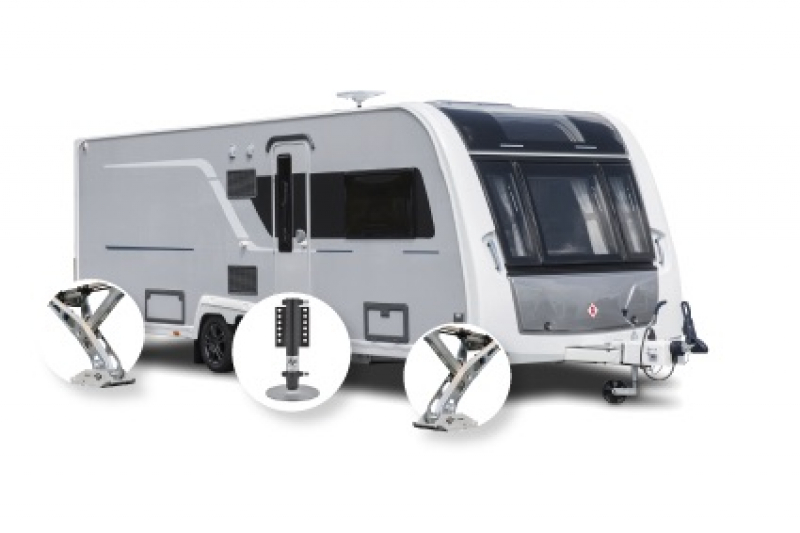 The hydraulic caravan stabilisers are either automatically extended OR they can be controlled manually in pairs ( this ensures there is no torsion in the chassis ).